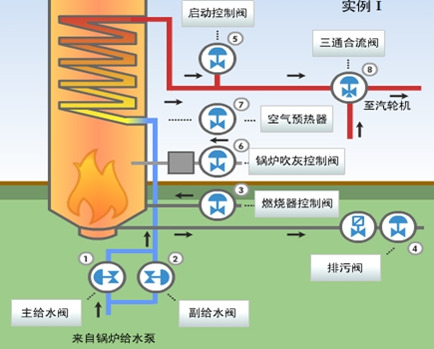 Difference in flow characteristics of boiler. Smaller, equipped with hardening treatment, multi-level valve parts, and the main boiler feed water control valve installed in parallel. Quantity characteristics and noise reduction function. In the fuel oil situation, this control valve can be the burner nozzle of the inlet pressure is always kept constant. Such condition. Valve seat surface is easy to wear, so we recommend that you install a cut-off valve. Normally, when the boiler starts, start control valve through the muffler steam into the air. Because the steam expands when the pressure suddenly drops. Section valve is usually asymmetrical shape. Time to respond, and the steam was sent to the soot blower nozzle. Air pre heating control valve by controlling the steam into the preheater, so as to control the temperature of the air inside the burner.